Back in September I wrote a post: Children's Books That Are Fun for Mum & Dad Too, as some times as a loving parent you can get very bored and fed up reading the same story over and over again at bed time (or any other time for that matter). But being the very loving parents we all are, we read that damn book anyway to see the smile on our little cherubs faces. Anyway I wrote the post to let all Mums and Dads know that kids stories don't have to be boring and tedious and you might actually enjoy some of them with your kiddos. Over the past 5 months Logan has (some how - not my fault *whistles*) acquired more great books to read at bed time so I thought best to share with you all to save from the story book boredom. The Julia Donaldson books are fab and I'm sure just about everyone with children has one of her books in their house. Logan is quite taken with Monkey Puzzle at the moment. It's a story about a little monkey who's lost. 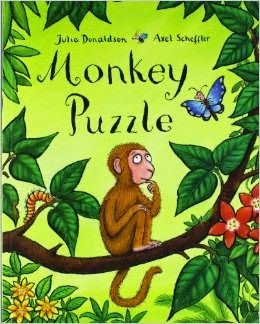 A butterfly happens to be passing and promises to help the little monkey find it's Mummy however although the little Monkey gives clues to what his Mummy looks like the butterfly misunderstands and ends up finding all sorts of different animals. 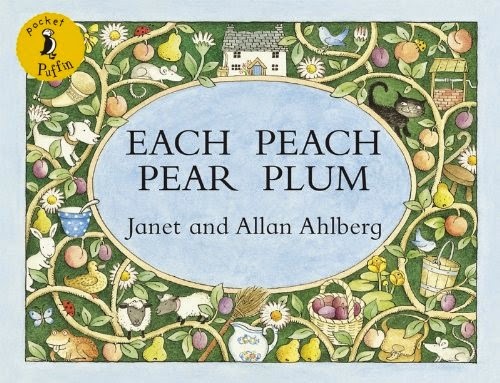 It's quite a funny book which children can join in with too as some parts are repetitive and the pictures are as lovely as always. This is a recent book which we received from Book Bugs (Scottish Book Trust) a few weeks ago and it has fast become a firm favourite, with myself and the other half having to read it every night as part of Logan's five bedtime stories! Yes that's right, five stories! Anyway it's a hilarious book about a little girl who's parents are far too busy to help her get ready for bed so they leave her with a bunch of robots and head out for the evening. 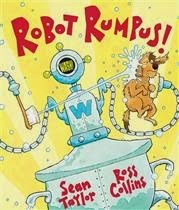 There's seven different robots who all have a different role to play such as cook bot, teeth bot and clean bot, and although things start out quite well it soon turns into a rumpus when wash bot mistakes a toy crocodile for the real thing at bath time. The illustrations in this book are lively, colourful and bustling with life. There's so much to look at and with the hilarious story it's sure to be a winner. It definitely is in our house. Another one of the Julia Donaldson books and this one is quite genius. 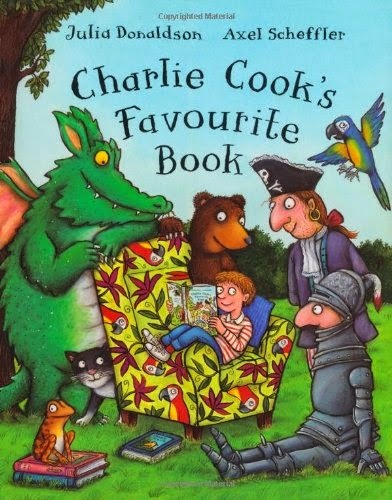 As the title suggest the story starts with a boy called Charlie Cook reading his favourite book and in his favourite book a character (pirate) has a favourite book which leads on to tell you about their favourite book (goldilocks) and so on. You really do have to read it to get what I mean but it's great and well thought out. I had to read it twice before I got the gist as I just didn't expect the story line. Logan really enjoys this story as you can read it quite fast and make it sound dramatic. I can't remember where I picked this book up from and could have well been Poundland for all I know but what a lovely little story this is. It's a story about a little fox who's in a bad mood as he thinks his Mummy won't love him forever. He asks his Mummy all sorts of silly questions to prove to himself that she will love him forever, and of course she will No Matter What! It has beautiful colourful full page pictures and is a warm loving book. 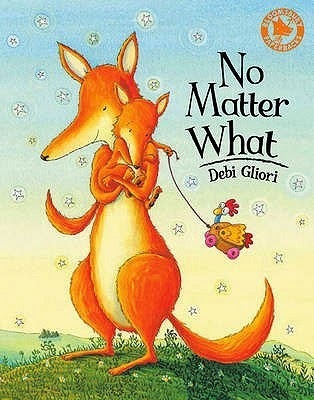 We've been reading this in our house for a couple of years now and Logan always asks if I'll love him forever - my reply is always 'No Matter What'. He loves it. This book is a classic which I enjoyed when I was little and it was suggested to me to buy for Logan when the other half and I attended speech therapy classes for him, this was before we had the Autism diagnosis hence the delayed speech but this book is great to help prompt speech. It's basically an eye spy rhyming book which starts of with "Each peach pear plum I spy... Tom Thumb". It has all sorts of different fairy tale characters throughout and on each page it says "I spy..." and you've to find the character in the picture it's referring too. Lovely little book and one which I'd highly recommend. These books are all easy and enjoyable to read with your children. The stories in each are really great which means you won't mind having to read them again and again at bed time or any time really. I'd love to know which children's books are your favourite as I'm always looking to add more to Logan's every growing library. This is not a sponsored post. All opinions and words are my own. If you'd like a book reviewed though please get in touch. 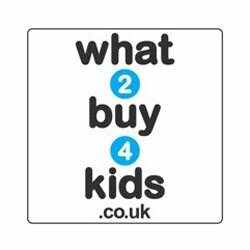 3 comments on "More Children's Books That Are Fun for Mum & Dad"
This is a fab list. I love Monkey Puzzle. It is one of my favourites and I know each peach pear plumb off by heart lol! Thanks for linking up to #KLTR .